By now, nearly everyone in B2B marketing has heard about account-based marketing. Heck, ABM has practically become synonymous with B2B. You probably know how it works, and how it can positively impact your business — but understanding the underlying principles of ABM is only half of the battle. To facilitate this process, Terminus developed the ABM Strategies Framework. This strategic framework will help you select account-based marketing strategies based on your business goals and the level of sophistication of your ABM program. Now it’s important to remember that account-based marketing is not about generating net new leads. Lead generation is easy, and demand generation is hard. The difference in the two is quality and knowing your best-fit accounts to go after. That being said, ABM is an important part of any demand generation strategy and to create more velocity within your best-fit accounts to win more deals. In this post, I want to focus on five ABM strategies that are essential for growing new revenue. Pretargeting is “smarketing” at its finest. It’s a demand generation strategy designed to complement your outbound efforts. To generate demand and warm up net-new named accounts for sales, you can deploy relevant digital ads across social, video, mobile, and display. By serving targeted ads to stakeholders at your best-fit accounts, you can drive greater engagement — and not just with a single lead, but with all key decision-makers at each company. The biggest benefit of a pretargeting strategy is the ROI. When you place your ads in front of only the people who you want to see them, you avoid wasting money on unqualified accounts. If you’re employing a 1:1 ABM strategy, your ads and marketing offers can even be highly personalized to each individual. Tip: Pretargeting is a useful strategy for driving decision-makers to events. Use account-based advertising to generate awareness about the event, and then follow up with a personalized invitation from a sales rep.
Account nurture campaigns aim to engage key stakeholders at target accounts that you already have in your database and convert them to sales pipeline. Because the B2B sales cycle is long and often complicated, many of the accounts you’re marketing to won’t be immediately ready to make a purchasing decision. Don’t make the mistake of letting these accounts go to waste just because they’re not going to turn into immediate sales. Instead, use account-based nurturing to continue to present your messaging and content to those accounts over time, keeping your company top-of-mind until they are ready to convert into a sales opportunity. If your goal is to generate demand while dipping your toes in the ABM water, this is the strategy for you. As you use inbound marketing strategies to generate leads, you can “bolt on” account-based marketing by expanding your reach at those leads’ companies. You can do this using digital ads to nurture the entire buying committee. 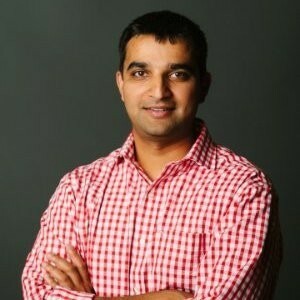 Lead-to-account nurturing and bolt-on ABM solve one of the basic challenges of lead-based marketing: being unable to reach the entire buying committee within a company. Bolt-on ABM is the fastest way to extend marketing’s reach to all of the influencers and decision-makers in an account while nurturing an individual lead. This type of ABM is easily automated and can be added to existing marketing automation flows. If you already have a successful, high-converting lead generation program, this may be a good place to start with ABM. If you’re not generating lots of high-quality leads, we recommend starting with a pretargeting strategy to target net-new named accounts. Pipeline acceleration campaigns support sales efforts to engage more influencers and decision-makers at target accounts and move them to the next positive stage in the buying cycle more quickly. You can do this using digital advertisements, sales rep engagement, field marketing activities, and events to educate and build a relationship with your potential customers through each stage of the buying process. At many companies, pipeline acceleration is a vastly underutilized strategy. That’s because traditional marketing methods — emails in particular — can feel intrusive during the sales process. Not only that, but they’re limited to the same contacts that your sales team is working. With an account-based pipeline acceleration strategy, however, you can use tactics like digital ads to reach additional stakeholders, helping to build consensus at your target accounts and move your accounts through the pipeline more quickly. At any given time, your database is full of “dead” accounts that aren’t actively participating in the sales cycle. But don’t be fooled; these accounts aren’t actually dead! To bring these inactive accounts back to life, you can target them with ABM campaigns and revive their interest. Not only does this remind your target accounts about your solution, it also allows you to reach additional contacts at each account — contacts that may be more receptive to your messaging and more likely to engage with your brand. Tyler Lessard, CMO at Vidyard and an “ABM Superhero” has an awesome use case about how his team used ABM to revive more than $1 million in pipeline for sales. Using these strategies, you can ensure you’re nurturing your target accounts from “click-to-close”. Now you might be thinking, “Shouldn’t customer marketing campaigns be part of my ABM strategy?” And you’re absolutely right! Land and expand, cross-selling, upselling, etc. is a big part of ABM. 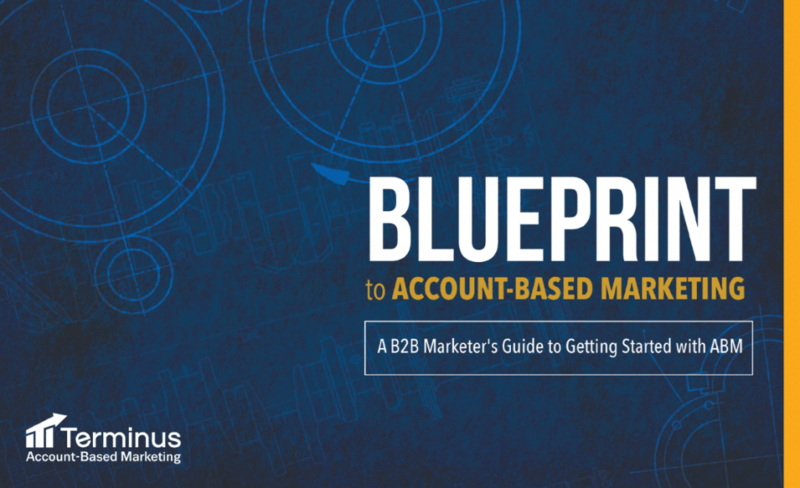 To learn more, download the full Blueprint to Account-Based Marketing. The worksheets in the back of this blueprint are extremely helpful for designing these campaigns across the entire account’s journey, going beyond the purchase decision to continue nurturing your customer accounts. By downloading this eBook, you will also receive OpenView’s weekly newsletter with tips for building a SaaS business.